This summer was extremely hectic. 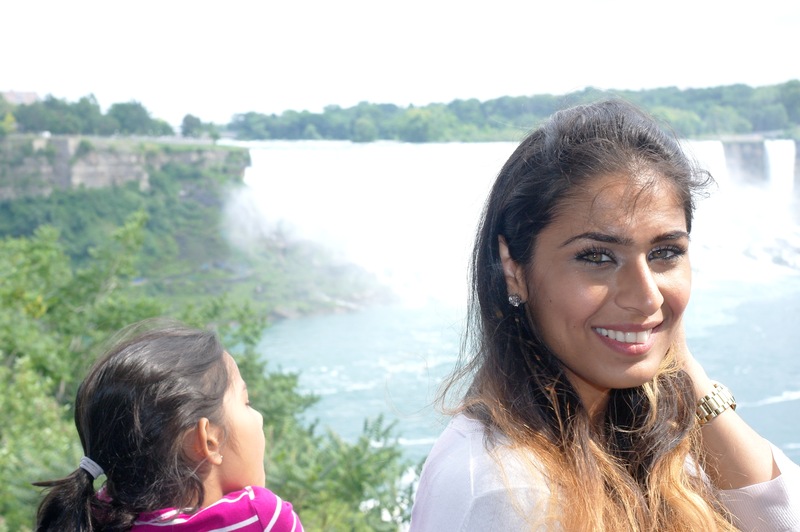 With Ramadan and constant traveling – not complaining by the way, I can’t believe summer is technically over! I say technically because you haven’t experienced North Carolina heat. But summer fun has come to an end sadly, and I wanted to share my traveling experience through a series of blog posts, called traveling diaries. This is the Canada Edition. I went to Canada as a child and my memories of Canada are minimal, perhaps I was just that young. I remember attending a wedding, and some good family friends, but not much else. 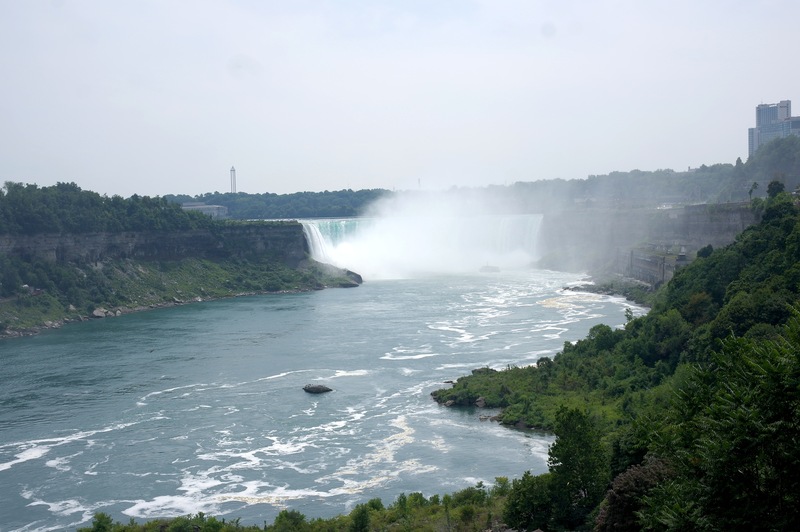 Oh, and of course Niagara Falls, because if you’re desi, you HAVE to see Niagara Falls. My experience this time was pretty amazing. 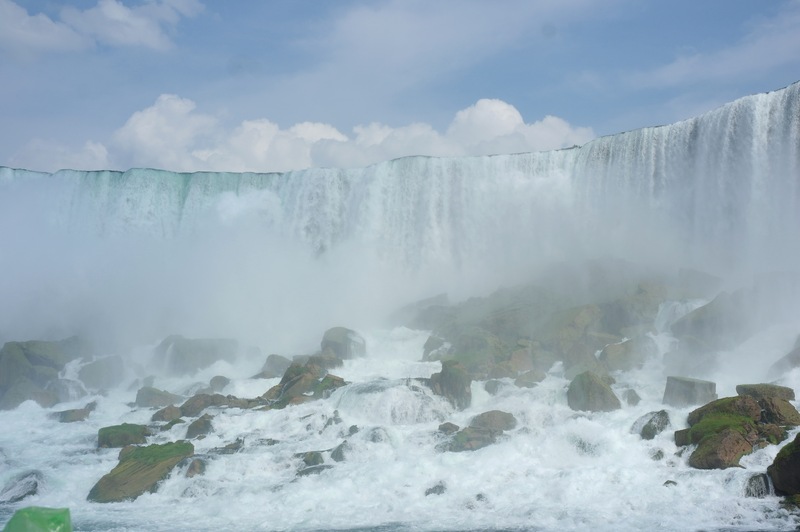 Nothing trumps quality family time, experiencing a fun new city, and of course… Niagara Falls. Toronto is pretty fabulous! The food, the diversity, and lets talk fashion! My family and me went to Yorkdale, which is a huge shopping mall in Toronto, we probably shopped WAY too much. I saw so many well dressed people in Toronto, I was honestly impressed. I want to say Toronto is comparable to New York, but I have to give Toronto it’s own credit. It has this vibe and liveliness of its own, and oh, the fashion, SO great. Nothing compares to quality family time. If you follow me on Instagram, you probably saw how all my cousins have the most adorable children. Spending time with children is such a humbling experience. They’re remarkably innocent, they ask the most curious questions, and I love how bubbly and high- spirited they are. It makes you admire them and kind of envious at the same time. Here we are, constantly caught up in the stressful part of our lives. How sometimes, we aren’t able to enjoy the little things, and then there’s the zesty children, who get excited over me doing their hair, or who will get to sit by me or my brother in the car. I truly miss them. Canada is gorgeous. Must be all those tax dollars – or tax canadian money? Canadian dollars, by the way. Did you know that Queen Elizabeth II is on the twenty dollar bill? Yeah, me either. I loved that beside every word they also had the French word for it. I hardly saw any cops on the road! Seriously, not one. I’m guessing Americans are much more rebellious then our neighbor country. And lets talk about the bagged milk. Okay, so for anyone who hasn’t been to Canada, instead of cartons, you get bagged milk. It was quite interesting I must say. My brother and I figured its probably easier to recycle, who knows. If you miss Pakistan- just visit Canada. 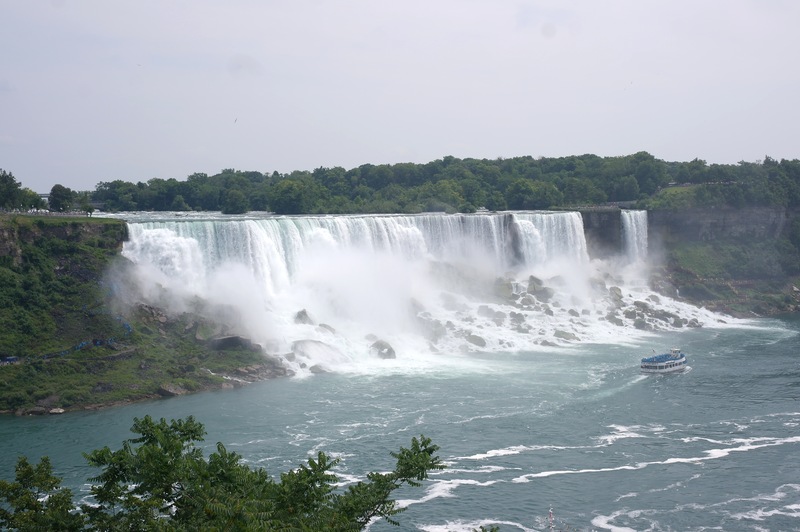 Don’t hate me for saying this, but I think Niagara Falls is a little overrated. NOTE, that I said a little, don’t get me wrong, it was absolutely stunning. Definitely a one time thing though, at least I can check it off my list, right? 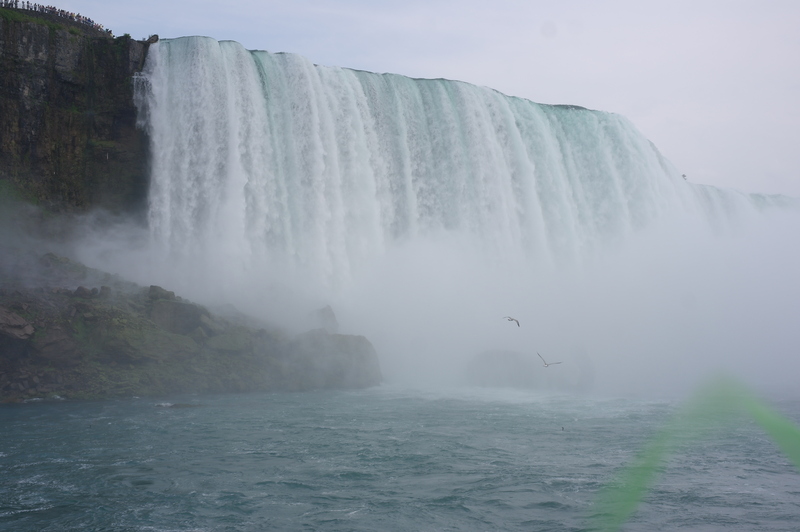 This time when I was there, I got to ride the ferry, which was pleasant and being able to see it THAT close was enjoyable, I got completely drenched – so much for my doing my hair, but the view was breathtaking. It was worth it.